A Yorkshire building engineering services consultancy is celebrating a year of growth, following the opening of a second office in the North. Wetherby-based MRB Consulting Engineers is expanding its business with the launch of a Manchester office, following a series of new business wins. 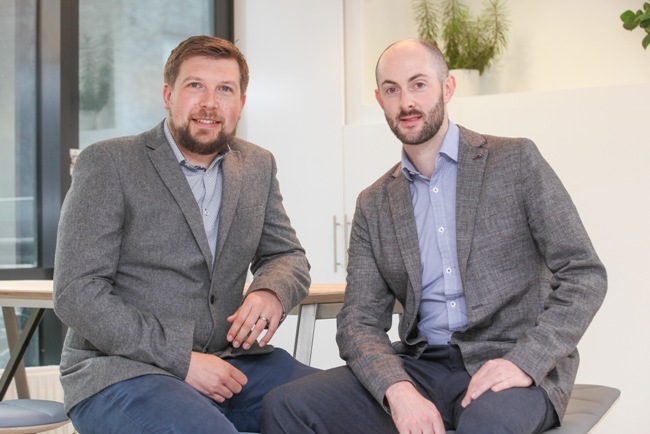 The consultancy, which has worked on numerous high profile Northern projects, including Platform and 3 Sovereign Square in Leeds, will also be growing its team across both sites with a number of new engineering appointments. MRB Consulting Engineers was set up over a decade ago by former colleagues and engineers John McElwee, Mark Roberts and John Blanchard. The trio, who have worked together for over 21 years combined experience in the industry, have grown the business from a team of three to 16 members of staff and today boast a client list including Bruntwood, Evans Property Group, Town Centre Securities, Travelodge, Jet2 and Everyman Cinemas. The additional office will provide a base for MRB Consulting Engineers to deliver North West projects, including the new Dakota Deluxe Hotel in Manchester City Centre with existing client Evans Property Group, and the North West’s largest live commercial development, Logistics North in Bolton, for Harworth Estates. John McElwee, managing dDirector at MRB Consulting Engineers, said: “MRB was formed in Yorkshire in 2007 and we’ve enjoyed significant growth over the past decade, attracting high profile clients from across the North.